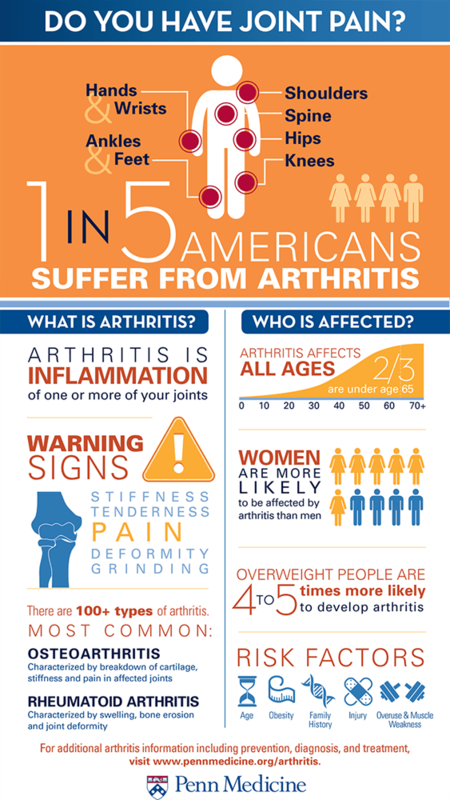 Did you know the leading cause of disability in the U.S. is arthritis? It affects over 50 million people nationwide and causes regular people like you and I to suffer from inflammation and pain in our joints. The thing is, arthritis doesn’t just cause crippling pain. It also reduces mobility and quality of life, which means it can lead to other health problems, including heart disease, weight gain, and depression. The good news is that essential oils are a natural and highly effective way to deal with the main symptoms of arthritis, such as pain and swelling. But which essential oils can help with arthritis, and how should you use them? Read on for specific instructions based on the most recent scientific research. Before we jump into the recipes themselves, I have to address an important point. By definition, “arthritis” simply means joint inflammation. The fact is, this is not a single disease, and the term “arthritis” actually refers to over 100 various diseases with different causes. A second important point is that some people respond to certain essential oils while others do not. Because of these two reasons, there is not just one essential oil recipe to deal with arthritis. And that’s why, when you read the rest of this article, you are going to discover all the reliable research I could find on oils that help arthritis. If you try one of these recipes and it doesn’t work out for you, don’t lose hope. Try out one of the other recipes, and chances are, you will eventually find an essential oil that helps you relieve the pain and inflammation caused by arthritis. Our first recipe comes from a study of 40 arthritis patients at a hospital in South Korea. The patients were treated with a blend of essential oils, including lavender, marjoram, eucalyptus, rosemary, and peppermint. In other words, essential oils helped significantly with arthritis symptoms. If you are new to essential oils, and you are looking for detailed instructions on how to carry out the recipe above, check out our complete guide to diluting essential oils. You can simply apply this blend to any of your joints that are affected by arthritis. The oils in this blend are highly diluted, making this a gentle blend that’s safe to use repeatedly throughout the day, and for an extended period of time. The second study on essential oils and arthritis involved 59 persons in a senior citizens center in Hong Kong. This study was placebo-controlled and double-blind — basically, the gold standard for scientific experiments. Over 3 weeks, the people in the study were given either an aromatherapy massage, a massage without aromatherapy, or just their usual treatment. For the group that received an aromatherapy massage, the results were impressive. Pain, stiffness and physical function all decreased, unlike in the other two groups. When you make this blend, you can simply rub it onto your joints. However, you can also ask a family member to perform an aromatherapy massage on you (more on combining essential oils with massage below). This isn’t the only study that supports the use of ginger essential oil for treating the symptoms of arthritis. A study from 2006 showed that ginger essential oil was effective in reducing pain in mice that had developed arthritis. And a 2009 study looked at arthritis and ginger extracts containing the compound gingerol (the active constituent of fresh ginger). It’s important to point out that these extracts are different from ginger essential oil, which doesn’t contain gingerol. What matters for us is that one of the two extracts did contain ginger essential oil. And this extract (with ginger essential oil) was found to be more effective in preventing both joint inflammation and destruction. Better than lavender, eucalyptus, and tea tree? The next study I found specifically looked at the effect of topical application of different oils to reduce inflammation. Lavender, eucalyptus, and tea tree oils were all found to reduce inflammation. But geranium oil did better than any of these in various measures of reducing inflammation. Now, there are two caveats about this study. First, this study was performed on mice, and we can’t say with certainty that the effect would be the same in people. Second, this study dealt with skin inflammation, rather than joint inflammation. Still, the results are encouraging, and if you are looking for an essential oil to help with arthritis, geranium is definitely worth a try because of its apparent anti-inflammatory properties. As with the previous recipes, simply rub this blend onto your joints. Another animal study I found focused specifically on arthritis and essential oils. The researchers applied this blend topically to rats who had arthritis. Developed less severe clinical arthritis compared to the controls. The amazing thing is that the mice continued to improve even when application of essential oils stopped (unlike the control group). By the way, several of the oils included in the blend above are high in the compounds carvacrol (oregano, thyme, marjoram) and borneol (thyme, rosemary). According to Jane Buckle’s Clinical Aromatherapy, these compounds are known to act in the same way as some common anti-arthritis drugs, by inhibiting an inflammatory enzyme known as COX-2. The final animal study I found looked at reducing the process of inflammation (again, not specifically arthritis) with essential oil. It used a variety of basil called “hairy basil” (Ocimum americanum), and found that the oil had “significant anti-inflammatory effects” in paw swelling. The issue is that hairy basil is an unusual essential oil, and it isn’t readily available from essential oil suppliers. The good news is that the authors of the study did a GC-MS analysis of this oil, and found that its two major constituents were linalool and 1,8-cineole. The authors believe that the anti-inflammatory action was due to these main compounds. But linalool and 1,8-cineole aren’t just found in hairy basil. They are present in large amounts in many other oils, including some we’ve already seen, such as lavender, eucalyptus, and marjoram. Rub this blend into your aching joints, or use it in an aromatherapy massage (see the video below). What about turmeric, frankincense, and myrrh? If you search online, you might see some other recommendations for essential oils for arthritis. Frequent among these are turmeric, frankincense, and myrrh essential oils. Here’s what I could find about them. There is a study that looked specifically at turmeric essential oil and arthritis in mice. The mice were given high amounts of turmeric essential oil, either orally or by injection. The turmeric oil dramatically reduced swelling — but it also killed many of the mice. Lower, less toxic, doses of turmeric essential oil didn’t show significant anti-inflammatory effects. The authors concluded that their study does “not support the isolated use of turmeric essential oil for arthritis treatment,” but that it instead points to safety concerns about its use. As for frankincense and myrrh, I found studies that supported the use of their extracts for arthritis. The trouble is, the extracts are not the same thing as essential oil because they have different chemical profiles and different therapeutic properties. While it’s possible that frankincense and myrrh essential oil also help with arthritis, I haven’t found any direct scientific support for this. It’s quite possible that combining massage with essential oils gives an added benefit for arthritis treatment. A simple but effective form of aromatherapy massage called the “M Technique” was pioneered by Jane Buckle. As you can see, the ‘M’ technique is simple and easy-to-learn. It involves using a light touch and repeating a pattern of movements. It’s definitely worth trying out as a way to get additional relief from arthritis pain. All of the recipes above should be safe to use several times a day, for several days in a row. However, after continued use, you should give the oils a break, or switch to another blend. That’s because prolonged use of the same essential oils can have some undesirable consequences. Cause the body to become acclimated, so the aromatherapy blend no longer works. Trigger the immune system, leading to an inflammatory skin reaction, respiratory problems, or in extreme cases, anaphylactic shock. Lead to the opposite of the original desired effect. I’m not trying to scare you, or turn you away from using essential oils. But it never hurts to follow commonsense safety recommendations, particularly if they come from experts like Katharine. At present, there is no known cure for arthritis, and essential oils are no exception. But as you’ve seen above, there is good reason to believe essential oils can be a big help in relieving arthritis symptoms like pain and swelling. Different essential oils might work for you and your particular condition. Try out the recipes above, and see which ones help. And if you would like to share your experiences about arthritis and essential oils, I’d love to hear them. Just let me know in the comments below. The post you’re reading has some great blends. But we weren’t able to fit them all here. 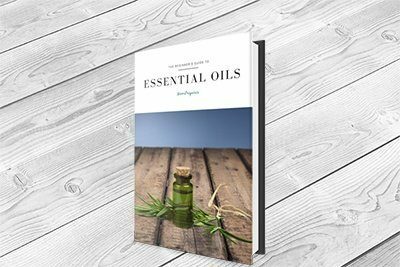 Click here to download our full mini recipe book: Essential Oils and Arthritis. I’m Lauren. Just a new mom trying to share her love for essential oils. Follow me on my journey to learning how I use EO’s daily in my home. This is a good article. I recently got inflammation around my left knee and having been doing a mixture of : Lavender, Peppermint and Pine oil. It has helped so immensely with reducing pain and allowing me to complete physical therapy. Thanks for the article. What is a good brand of essential oils to use for these blends? I know that’s and important part. Trying to find a nice blend for arthritis and a few people have said what they have tried. Just wondering what the ratios are so I can try as well. Thank you for stopping by and commenting! Without knowing what oils, what I can say is that a good basic guideline is up to 5 drops of essential oil into a teaspoon of carrier oil. Make your blend of essential oils first, and then add the drops of that to the chosen carrier. If you have sensitive skin, start with 2 drops of the blend in the carrier and work your way up to 5 drops. If you are looking to make a larger batch to have on hand for spot treatments, start with 10 drops of your essential oil blend to every ounce (two tablespoons) of carrier. You can work up to a maximum of 30 drops depending on the oils and your sensitivity to them. Either way you choose, just use the amount needed to rub onto the affected joint(s) and store the rest in a dark bottle. Also, you may want to bookmark this page. We have just completed an awesome printable guide that will be available soon and could help you! Thank you so much..just starting my love affair with essential oils, found this very informative. may I substitute coconut oil for apricot, jojoba and almond oils? What about the use of Copaiba? I use EO’s daily and have not found any recipe that I can use for reduction in pain. I have a couple of recipes I’ve been using, but I don’t notice any benefit. I am a person that seems to always require the max dosage with medications. Perhaps I just need to increase my EO’s in my recipes. I use 10 mL roller balls. *I believe the answer to every ailment is in nature. Thanks for the article! I have a question about the side-effect. How long is ‘prolonged’ use? A week, a month, a year? And how to avoid you’re body to get used? Is changing a blend or oil an option? Or does the body need a period ‘off’ ones in a while? What is your advise? After my Rheumatoid Arthritis diagnosis in 2009. I was put on Naprosyn and after some time i didn’t feel any different, so i started on a Natural RA Formula treatment protocol from RICH HERBS FOUNDATION (ww w. richherbsfoundation. com), the treatment effectively treated my Rheumatoid Arthritis condition. The swellings, stiffness, fatigue and joint/muscle/body pains has subsided, I feel better overall than i have felt in years. Its almost like a miracle!